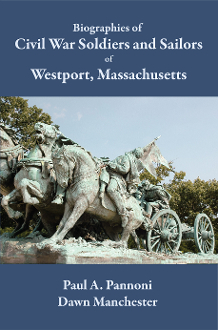 This book provides biographies of the Westport, Massachusetts, soldiers and sailors who served in the Civil War. The stories here were compiled from Civil War pension files and from vital records. Individual biographies record events about each veteran's war experiences, the battles in which they fought, their injuries, and the personal and financial difficulties they faced following the war. Pleas of relatives and friends who submitted affidavits to support the pension application process provide new and previously unknown information about the Westporters. Documentation of the pension approvals and rejections highlight the wartime and after-war difficulties experienced by the soldier. The soldier's story is told from the time of his birth, his marriage, and his death.